Seems like I have a lot of “draft” posts that never see the light of what passes for day on these internets because I can’t find the time to work them out. One of these was this feature from NPR about the Library of Congress’s new Audio-Visual Campus. It’s an interesting look at what our national library is doing to preserve and rescan media. 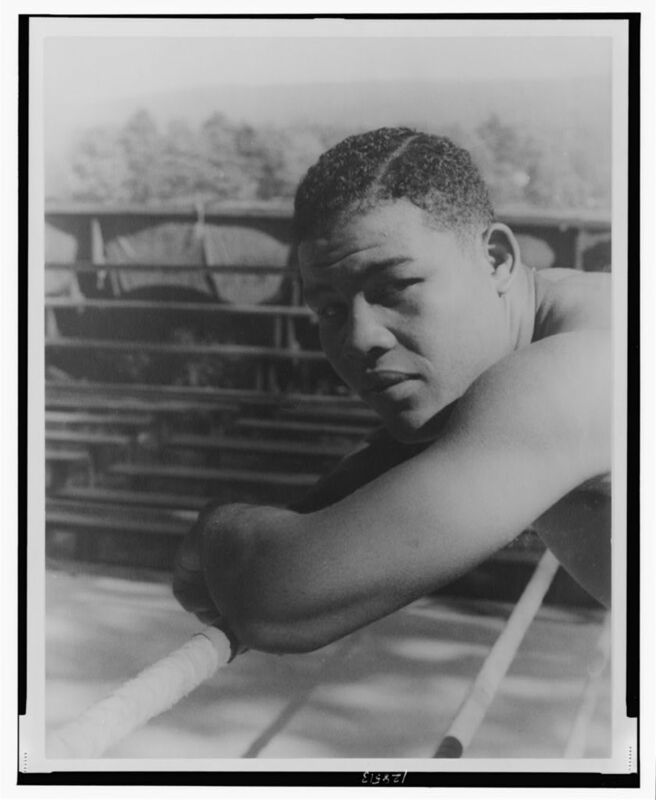 They play a bit from a Count Basie album released only in Europe and offer a listen to the very short Joe Louis/Max Schmelling bout. The above photo is one I found while looking for something else. The caption reads John Howell, An Indianapolis Newsboy Makes $.75 some days. Begins at 6 A.M., Sundays. (Lives at 215 W. Michigan St.) Location: Indianapolis, Indiana. 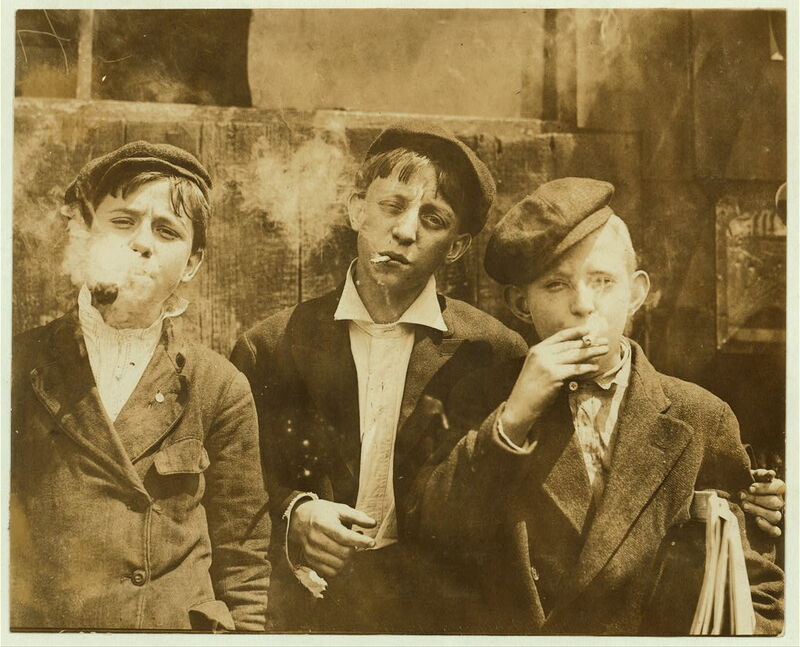 It’s from Lot 7480 by Lewis Wickes Hine, a 3 album, 861 print collection by taken from 1908-1924 for the National Child Labor Committee. 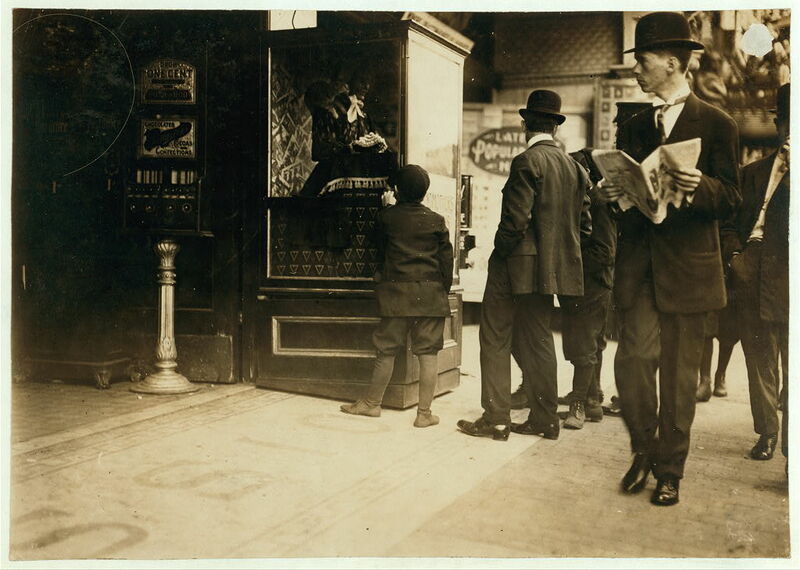 Photographs show primarily newspaper sellers (including boys, girls, and a few adult “newsies”), bootblacks, messenger and delivery boys, and food vendors, but other service workers such as bowling alley pinsetters, movie theater ushers, delivery wagon drivers, and one youthful automobile chauffeur in Oklahoma are also included. Images include posed portraits; work activities, emphasizing hours (including night work) and weather conditions in which children worked; recreational activities (“rough-housing,” street games); habits considered potentially damaging to children (unsafe streetcar riding practices, smoking, spending earnings on movies); and facilities and activities offered by organizations such as the Newsboys’ Protective Association (e.g., reading rooms, showers). Some images document street life in the city–including outdoor markets, signs, and modes of transportation. 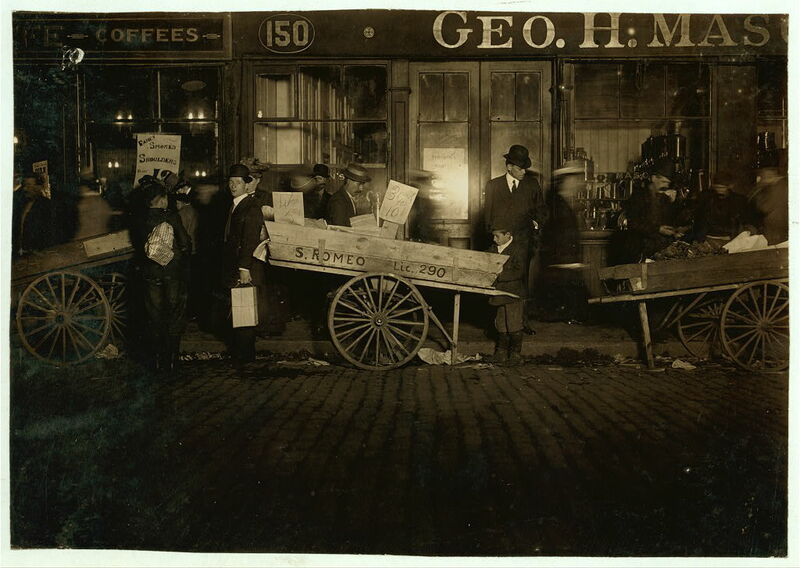 Locations include: Alabama; California; Connecticut; Delaware; Florida; Indiana; Kentucky; Massachusetts; Missouri; New York; New Jersey; Ohio; Oklahoma; Rhode Island; Tennessee; Texas; Vermont; Virginia; Washington, D.C. Also included are photographs of exhibit panels that use the images to protest child labor practices in the street trades. 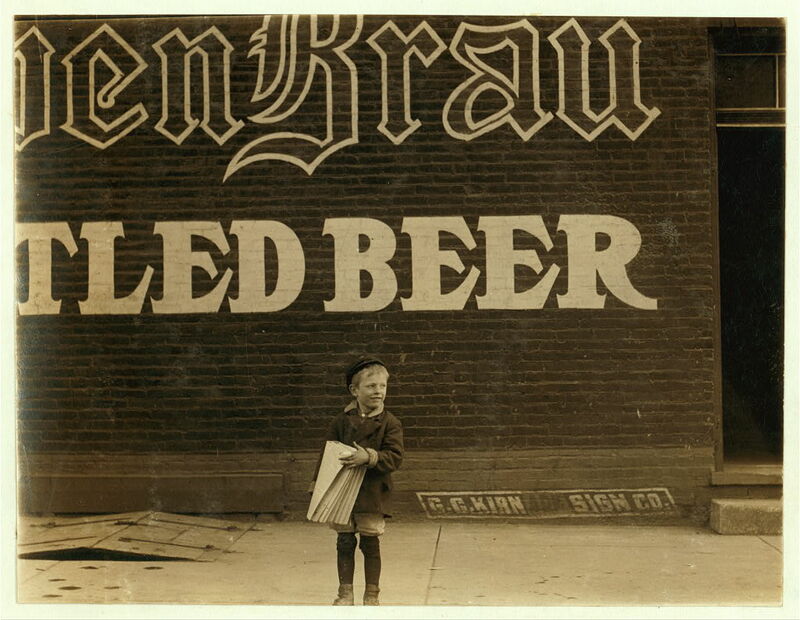 Pretty dang cool pictures from a vanished time when Sonny & Pete started work at 6 AM, five yr old Frances Lance sold papers in front of beer ads, and newsboys battled the twin ills of smoking and “the movie habit“. 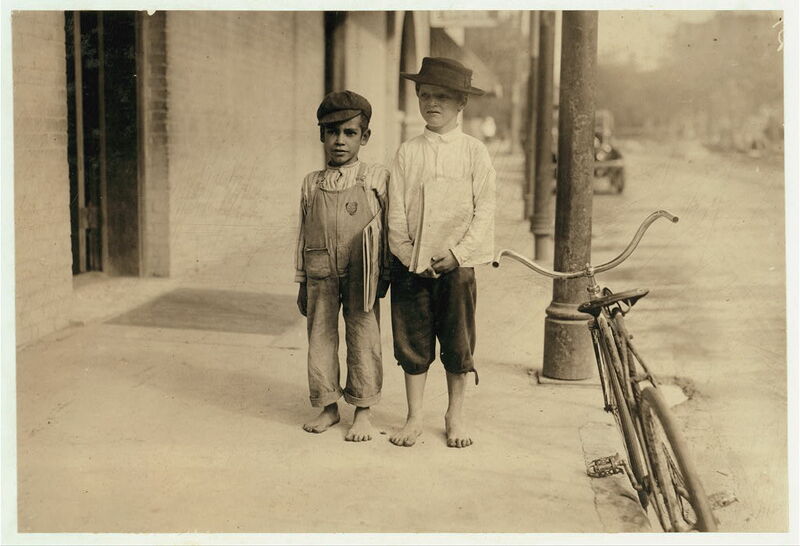 I think it can also be said that Lewis Wickes Hine had some mad photographic skillz. You can search the entire collection of the NCLC too. I love the Library of Congress. 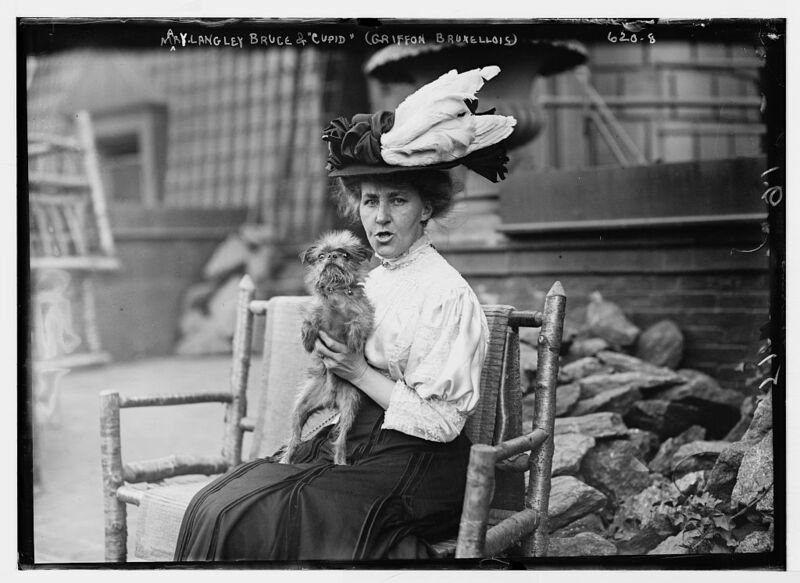 Today in History for April 18 from the Library of Congress’s American Memory project features the Great San Francisco Earthquake and Fire of 1906. 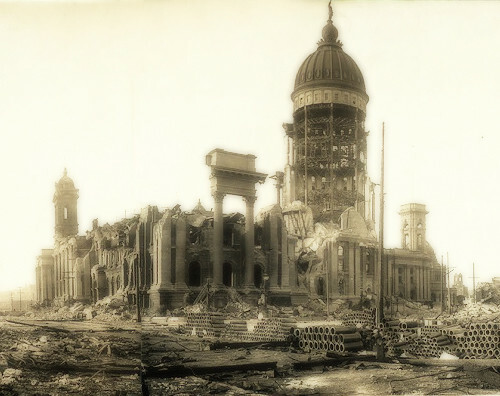 At 5:12 A.M. on April 18, 1906, an 8.3 magnitude earthquake struck San Francisco. With thousands of un-reinforced brick buildings and closely-spaced wooden Victorian dwellings, the city was poorly prepared for the quake. Collapsed buildings, broken chimneys, and a shortage of water due to broken mains led to several large fires that soon coalesced into a city-wide holocaust. The fire raged for three days, sweeping over nearly a quarter of the city, including the entire downtown area. Over 3,000 people are estimated to have died as a result of the disaster. For those who survived, the first few weeks were hard; as aid poured in from around the country, thousands slept in tents in city parks, and citizens were asked to do their cooking in the street. A severe shortage of public transportation made a taxicab out of anything on wheels. Numerous businesses relocated temporarily to Oakland, and many refugees found lodgings outside the city. Most of the cities of central California were badly damaged. However, reconstruction proceeded at a furious pace, and by 1908, San Francisco was well on the way to recovery. The associated media includes the panoramic view of the devastation from which I took the above photo and a TON of movies of San Francisco from before and after the earthquake such as a Balloon’s Eye View of San Francisco. I fiddled with the picture a bit in Photoshop … because … well … the photo wanted me to I guess. As a resident of the Economically Devastated State of Michigan, I see great hope in this picture because I know that what those folks in San Francisco overcame was far, far more challenging than our current troubles. Somewhere I found this link to an excellent page on early photography. 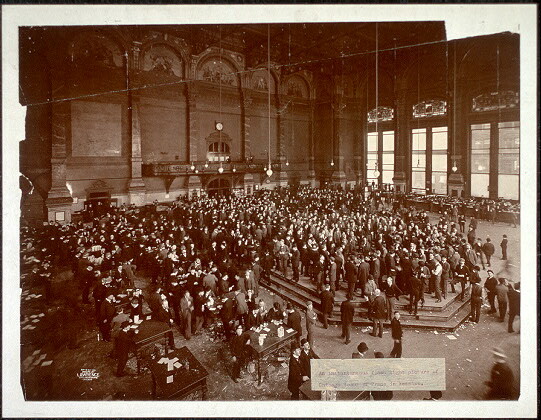 The picture above is an “Instantaneous flash picture of the Chicago Board of Trade in session by photographic pioneer George R. Lawrence. In case anyone cares, I was actually looking for drawings of the Le Griffon (the Griffin), the ship of famous explorer René-Robert Cavelier, Sieur de La Salle for this article on Absolute Michigan. The story is interesting as an explorer is wrangling with the state of Michigan over a shipwreck. They want to see it before they make any deals with him and he says “no way am I showing it to you without assurances”. Library of Congress, Prints and Photographs Division, LC-A35-5-M-34. You can view selected images from the collection or view them all. If you’re the travelling type, here’s the site for the Manzanar National Park.